Sprudge Sunday Magazine – Issu..
Holiday Weekend Fun: Make Your..
Strand Talks Specialty Coffee-Restaurant Gap – It was pretty big news last week when Mads Kleppe, sommelier at Copenhagen’s Noma announced that the Michelin-starred restaurant would be serving coffee from Tim Wendleboe using V60s brewed into custom made glass decanters. The very same day, a post on Grub Street reported that 30% of Michelin-starred restaurants serve up coffee from push-button Nespresso pod machines. Oliver Strand took some time to discuss and flesh out the seemingly large gap between high-end restaurants and good coffee service. From the Brain of Bernson: Black Blood of the Earth – You might want to sit down for this. Our own Alex Bernson recently chatted with Phillip Broughton, founder of Funranium Labs, who has created a 48 to 96 hour, intense, vacuum-extracted coldbrew coffee concentrate with 40x the caffeine contained in “normal” coffee. FORTY TIMES. You have to read it to believe it. Mr. Broughton, a Radiation Safety Scientist at UC Berkley, developed the concentrate to satiate his love of coffee when he was told he couldn’t consume sweeteners due to Type II Diabetes—rather than give up coffee, he wanted to find a way to minimize the bitterness in his coffee. Well, he found a way, and its available to purchase here. La Marzocco: Will Volumetrics Make a Comeback in 2013? – In the cinematic battle of man vs. machine, the machine is typically the more vilified of the two, but often has the upper hand. When it comes to espresso, the battle rages on. St. Ali’s Matt Perger posted this insightful and completely nerdy “Man Vs. Volumetrics” video to consider the idea. Well, the folks over at La Marzocco got curious, so they had espresso experimenter Ben Kaminsky up to their labs in Seattle for further research. Check out his findings here. La Marzocco’s Linea Love – Once you’re done geeking out about volumetrics, be sure to take a gander at the entire La Marzocco Linea Love Campaign. Your Sprudge Editors were tapped by our partners at LM USA to produce a series of video interviews with leading folks in the industry who’ve developed a special bond with the La Marzocco Linea. These interviews feature some of the brightest coffee minds we know: Stephen Vick of Blue Bottle Coffee, 2004 USBC Champion Bronwen Serna, Mindy Farley of the North Portland’s own The Red E Cafe (a Sprudge.com editorial favorite), Skip Colombo of Stumptown Coffee Roasters, Devin Chapman of Coava Coffee Roasters, Andrew Barnett of Caffe Linea, Alex Powar of Four Barrel Coffee, and Nick Cho of Wrecking Ball Coffee Roasters. Homeless Man Draws Portraits on Coffee Lids – Check out these coffee lids. Uh, when did this happen? SCAA’s annual even is less than two weeks away. To kick off the countdown, we’re pleased to introduce to you our brand-new contributor, Buzzy the Bean. Buzzy’s been gathering the latest news and gossip surrounding the Expo and has a couple announcements to make. 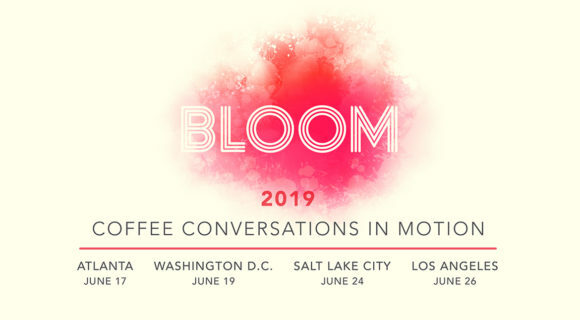 Barista Nation Satellite Cafe at SCAA – There’s another great event coming up that I’m just buzzing about: the Barista Nation Satellite Cafe at SCAA Boston! You might be familiar with Barista Nation from their years of hosting innovative experiences all around the world, from San Franicsco to Paris, Tokyo to Orange County to Texas. This year at the SCAA event in Boston (April 11th-14th), the team at Barista Nation will be teaming up with a whole heap of companies to run a top-notch cafe each day right in front of the SCAA Expo entrance. There’s also gonna be thought-provoking lectures, Youtube cross posting, and a chance to try coffees from some really swell bean murderers…er, specialty coffee roasters! Massive Latte Art Event at SCAA – I’m really buzzing about this brand new event: The Latte Art Exhibition! The Latte Art Exhibition is kind of a pilot program for sending a US representative to the annual World Latte Art Competition, hosted by the gang at World Coffee Events. Right now Americans don’t have much of a presence at that event, but the folks behind this event want that to change. Register to compete here. Entry costs just $25, and will benefit Sustainable Harvest’s Roya Recovery Project. For more info, email head honcho Patrick Burns at info@baristathrowdown.com. Speaking of coffee events and massive news stories, Nuova Simonelli’s Cosimo Libardo broke the news this week that our partners at World Coffee Events have decided on the locations for the World Barista Championships in 2014 and 2016. The 2014 World Barista Championship will be held in Rimini, Italy, while 2016‘s WBC will travel to Dublin, Ireland. Big news for anyone who likes anything related to coffee and travel! Olympia Coffee Roasters #3 – Olympia Coffee Roasters recently opened their third location (2824 Capitol Blvd., Olympia, WA), and it’s a beaut. We’ve compiled some instagram pics that document some of interior, and all of the hoopla. Congrats to everyone at Olympia Coffee! LA’s Tierra Mia in Echo Park – Our contributor Julie Wolfson spent some time with Ulysses Romero of Tierra Mia Coffee in a very special two-part series. Mr. Romero has recently opened up Tierra Mia’s newest Los Angeles cafe in Echo Park. Read more in this fascinating interview!